But the children insisted, and so none of the adults had the heart to do what seemed like the kind thing and simply finish her off. Instead against better judgement of the adults, Betty the broiler was rushed to the vet, who even though he thought the so-called adults had taken leave of their senses, agreed to stitch Betty up. The vet had never before tried to rescue a chicken, so when he handed her back to the adults, he suggested that she might be in considerable pain, but rather than prescribe costly drugs, he suggested that we might try alcohol to ease her pain. It’s amazing what adults will do to protect children from the harsh realities of life. But I kid you not, they actually found an eyedropper with which to feed Betty rum so as to spare her from the pain of her injuries. Also, a pair of toe socks. Toe-socks that were popular back in the 80s; they had openings for each toe. Well a pair of rainbow toe socks were put to good use, someone cut off a big toe so that it could be pulled over Bettys beak and head, and worn round her neck like a kind of rainbow turtle neck. 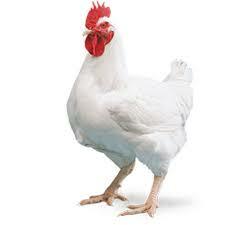 Betty the Broiler went down in the history of Seabright farm as a valiant protector of children. Her legend grew and before long, she wasn’t just a chicken, but a brave hen that sacrificed herself to protect the children who loved her. You haven’t lived until you’ve seen a white hen strutting about a yard with a rainbow scarf about her neck being tended by a group of children who would share even their most treasured treats with Betty the Broiler. Betty is the only Chicken I’ve ever had much of a relationship with, so you’ll have to forgive me, because as it became clear that Donald Trump was going to win yet another primary and in all likelihood is going to be the Republican nominee for president of the United States, just a hare’s breath from the becoming the most powerful person on earth, I couldn’t help imagining Pope Francis wearing a rainbow turtle neck. As the political pundits argued about whether or not the Pope has any business weighing in on the relative merits of Donald Trump’s Christianity, I couldn’t help thinking that this particular hen, had been chewed up by a fox. 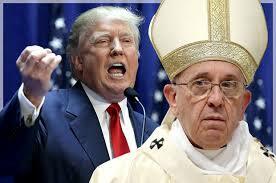 No, I’ve never been very fond of Popes, but before Betty the Broiler, I thought hens were only good for eating. I must admit that before Pope Francis, I thought popes were mostly good for nothing. But I’ve got to say that as long as Christianity is left in the hands of folks who insist on dumbing down the teachings of Jesus of Nazareth and failing to see how far we have sunk when building a wall to keep people out can be seriously defended by folks who call themselves followers of Jesus, well let’s just say maybe there ain’t nobody left in church but us chickens. And I don’t mean that in a good way. Those of us who call ourselves progressive or liberal, or Lutheran, or Anglican, or United, or spiritual but not religious Christians are all that’s left when it comes to defending the teachings of Jesus against those who would insist upon interpretations of Jesus that allow for the persecution or marginalization or even the torture and death of those other people, you know the ones who aren’t like us. I’ve been there myself, I’ve been out in the world traveling incognito, some place where nobody knows what I do for a living and I’ve heard the previsions that masquerade as Christianity, and I’ve simply pretended that there’s nothing I can do or say. I’ve let it go. I’ve stayed above the fray. I refused to engage. I’ve moved along. So, I’m guessing that most of you have been there too. In situations where you’ve heard the most outlandish things said or done as if they are Christian and, for whatever reason, you have decided to pretend that it is ok to let it go, because after all we were all trained to avoid conversations about religion and politics. But when those of us who know better, remain silent, then the foxes have their way. The foxes tell the tale of what it means to be Christian and before we know it nobody wants to bother anymore. Before we know it the idea that Jesus might have understood the mystery of God as tenderness best expressed in the courage of a mother hen, collecting her children under her wings to protect them from come what may, well that image of God, is lost and instead the world is continuously offered the image of a triumphant megalomaniac who would rather judge and punish that embrace and protect. Our images of the MYSTERY that we call God do matter. We have something precious to offer the world. The question is: Do we have the courage to follow Jesus to Jerusalem, by Jerusalem, I mean out there into the public square to offer ways of understanding reality that will nourish ground and sustain our world in LOVE? The spiritual quest of Lent is little more than a self-indulgent luxury if it is done only with our own spiritual development in mind. The spiritual quest of Lent is stunted by our own fears if we don’t go on to Jerusalem. Jerusalem, the world is in turmoil, the kind of turmoil that can only be soothed by the shalom, the peace that humanity has longed for for generations, the kind of shalom, that we have seen glimpses of the kind of shalom that Jesus talked about as the baselia of God, or the kin-dom of God. The kind of shalom that our friend Dom Crossan describes as the time and place where everyone has enough, the peace that comes through justice; justice for all of the children of God. To follow Jesus to Jerusalem, is to follow Jesus on the quest for this kind of shalom, shalom for all the people of the world, and shalom for the earth and all the creatures of the earth, shalom for all of creation. A lofty vision nourished by the image of a creator who longs to gather her children together as a mother hen gathers her babies under her wings. Blessed is the One who comes in the name of our God! Do we have the courage to follow that One to Jerusalem? Let it be so. Please let it be so. Amen. This entry was posted in Adult Education, Evolutionary Christianity, HOLY CROSS LUTHERAN, Progressive Theology, SERMONS, STORIES, Theology and tagged emerging church, evolutionary christianity, God as a mother hen, progressive christian sermon, progressive Christian sermon Lent 2C, progressive Christian sermon Luke 13:31-35, progressive christianity, progressive theology by Rev. Dawn Hutchings. Bookmark the permalink.